Hey Guyz, if you wanna watch your multimedia on your Big tv screen from your smartphone or laptop, then this Lenovo WD100 HDMI streaming media player will surely gonna help you. It comes with built in Wifi support and Full 1080p HD video streaming. Regular price for Lenevo WD100 HDMI streaming media player is 2999 Rs, but In this Snapdeal offer you can get whopping 1200 Rs discount and buy this in just 1799 Rs online. 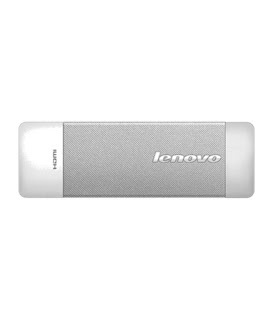 Lenovo's this HD media straming device has almost 5 star customer reviews, and the brand name Lenovo. For more Deals, offers and freebies, stay along with all india Coupons.